Kyle Nelson has been promoted to Director of Events at Atlanta Motor Speedway, Executive Vice President and General Manager Brandon Hutchison announced today. "Since he joined the Speedway, Kyle has been integral in the success of all our events," said Hutchison. 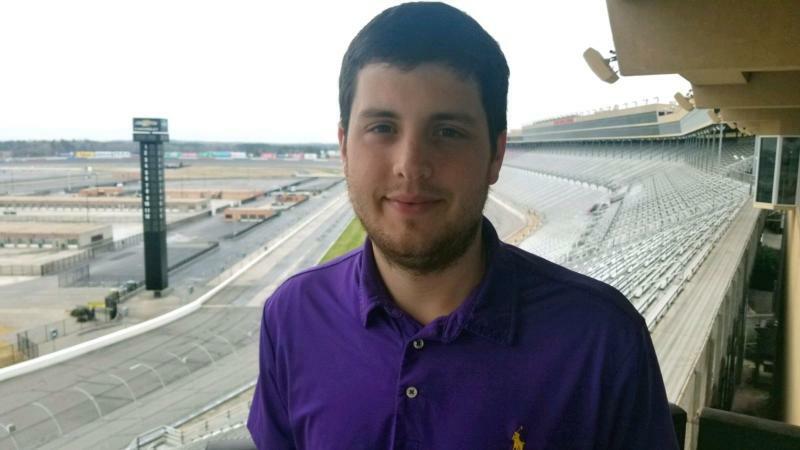 "He has a knack for thinking outside the box to elevate the experience of everyone who visits Atlanta Motor Speedway from vendors to clients to fans and attendees." Nelson began his career with the Speedway in 2015 as an Event Coordinator after he graduated from Texas A&M with a BS in Sport Management. He was promoted to Event Logistics Manager at AMS in 2016. "I'm thrilled for this opportunity," said Nelson. "I'm looking forward to working with all of our events and track rentals to continue to provide them with the best possible experience for all fans and attendees." As the Director of Events, Nelson will coordinate and oversee all facility rentals and will manage the Speedway's short track racing programs. He is also charged with various fan entertainment and track service initiatives for the Folds of Honor QuikTrip 500 Monster Energy NASCAR Cup Series race. Nelson will also work with the operations department on upgrading and modernizing the facility and identifying areas of improvement. Atlanta Motor Speedway's next major event is the Feb. 22-24, Folds of Honor QuikTrip 500 NASCAR Race Weekend. The Weekend features Monster Energy NASCAR Cup Series qualifying on Friday, Feb. 22, the NASCAR XFINITY Series Rinnai 250 and NASCAR Gander Outdoors Truck Series 200-mile race doubleheader on Saturday, Feb. 23, and culminates with the Folds of Honor QuikTrip 500 Monster Energy NASCAR Cup Series race on Sunday, Feb. 24.